← Multiple Man Might Be Coming Back, Again! They’re Going to Try the Exiles Again! Marvel is going to release a new Exiles comic this Spring! Good for them! I don’t have high hopes. As always, Blink will be the main character. 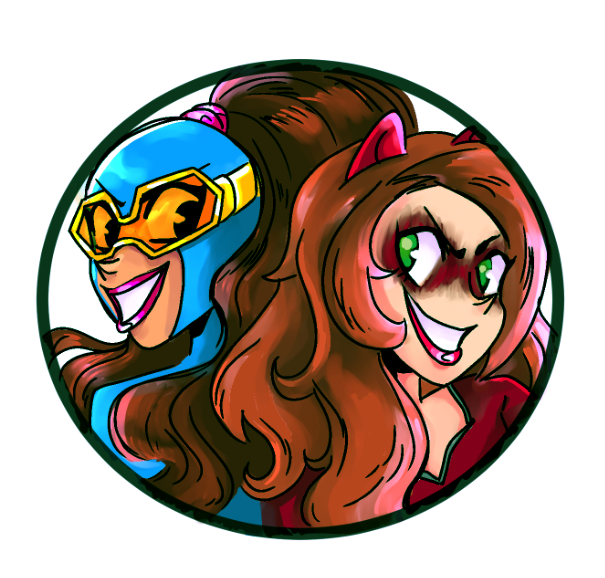 This time, she’ll work for Nick Fury Sr. and be teamed up with an older, grizzled Kamala Khan, Iron Lad, a little cartoon Wolverine and an as-yet unrevealed other character. Everybody loves a good leather jacket redesign! That last character is probably someone from the 616 universe, otherwise why bother keeping their identity a secret? The comic will be written by Saladin Ahmed, who earned great acclaim with his Black Bolt comic (which I haven’t read yet), with art by Javier Rodriguez, who I loved in the Spider-Woman comic. This has all the makings of a fine comic, I’m sure, but I don’t have a lot of faith. The original Exiles comic is one of my all-time favorites. It was an amazing comic with an amazing cast, and it succeeded because it was built on strong characters instead of just their wild adventures. That thing lasted for more than 100 issues! But then Marvel tried to reboot it with a second volume in 2009, but that barely lasted any issues. And then Dazzler had a series with a similar concept not too long ago. For some reason, the original was a powerhouse of popular awesome, but every attempt to revive the concept just keeps falling flat. So yeah, I don’t have much faith. But any comic that has even a chance of using the Mimic is definitely worth a look see. Posted on January 5, 2018, in Comics, Marvel and tagged Blink, Exiles. Bookmark the permalink. 5 Comments. 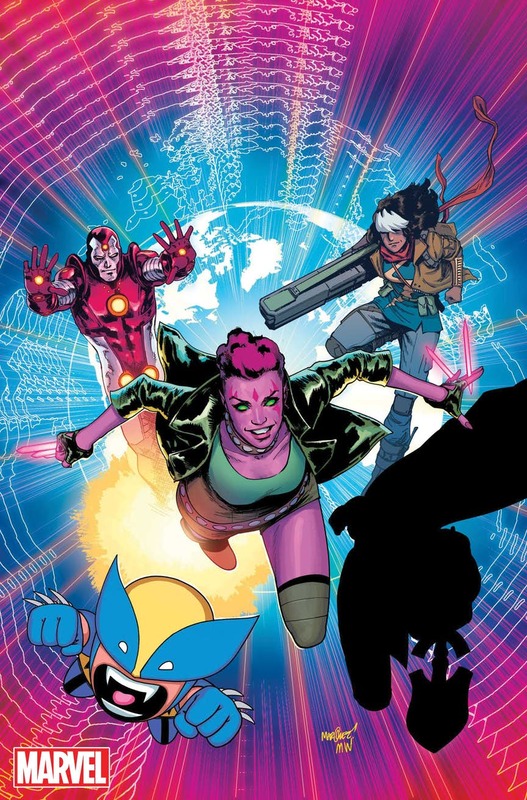 The roster is interesting: Blink, a future Kamala, Iron Lad, Scott Young’s Wolverine… No idea about the other one, but the shape is weird. More Mimic would be great! He got a nice little bit in the new issue of X-Men: Grand Design this week! I loved the original Exiles, so this was always going to get my attention. A grizzled old Kamala is a pretty great idea, so that’s got my attention. And then Saladin Ahmed writing it? Hell yes. Black Bolt is one of Marvel’s best current titles. It is amazing. He is doing such a phenomenal job on it, with the most recent issue making me cry. So, yeah, I’m definitely excited to see him write Exiles. You have spoken highly of Black Bolt before. It’s definitely on my list to order the tpb when it’s available.